This July 1, Canadians all across the country – and most likely all around the world – will be filled with pride and joy. A grand national smile will spread and be felt from Whitehorse to St. Johns, from Iqaluit to Toronto and all points in-between. July 1 will mark the celebration of Canada Day! 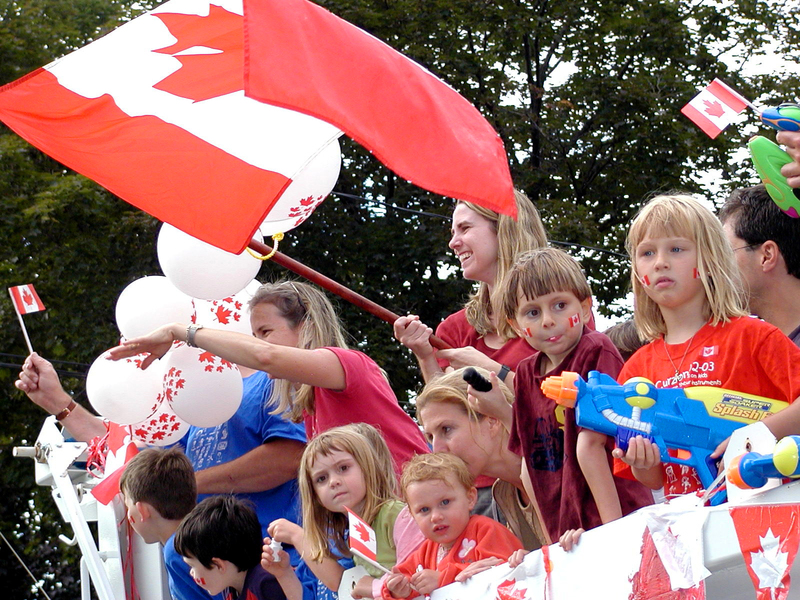 Cities, towns and villages all across Canada will sponsor organized celebrations consisting of outdoor public events, such as parades and festivals, fireworks and musical concerts, as well as citizenship ceremonies for new Canadian citizens. On such a joyous and memorable occasion, we at Nova Communications wish to tell all of you what Canada Day means to us. Canada Day reminds us and reinforces what makes our country great. It is her citizens; those who work hard every day to make Canada a wonderful place to live today, and intend to leave behind an even better Canada for all of our children tomorrow. Every day, thousands of Canadians wake early to grow our food and provide quality education to our children. Some clean our streets and maintain the power grid. Others are awake all night, quietly patrolling and keeping watch over the citizenry and property. These unsung heroes are the salt of the earth, and they are the same people we at Nova are happy and proud to call our customers. We at Nova Communications are proud to serve as partners, supporters and service providers to the Canadians who work hard to provide security, services and quality goods for all to enjoy. Our customers are the construction workers that build our homes and communities, the manufacturing businesses that proudly assemble the products that we happily use, the hotel and recreational businesses that provide services for us to enjoy on our time off – and most importantly, our customers are the volunteer firefighters, dedicated police officers, and other first responders that protect and secure our communities. Canada Day reminds us that hardworking, everyday people are what our country’s fabric is made of, and they are the same people who will drive her forward into the future. A country must be willing to welcome new people and new ideas in order to forge that new future, and Canada has a long tradition of being open and welcoming to new Canadians. That philosophy of being open and welcoming to people who are willing to work hard and provide meaningful contributions is one we also apply here at Nova. We are happy to say that we also welcome the input and positive spirit of people who have joined Canada from all around the world. We are proud to have staff who came to us from Ireland, England, the Middle East and India. We understand communication is the most important factor in progress, and that is why we focus on meeting your communication needs and keeping those channels open and clear. Just as we all want our country to be responsive to us as Canadians, we at Nova understand what it means to be responsive to our customers as well. Our well-trained and professional staff is available to provide you with the best service you can find. To all of you hard-working Canadians who toil every day to strengthen the fabric and spirit of Canada, we send a hearty Happy Canada Day! Here’s to many, many more.